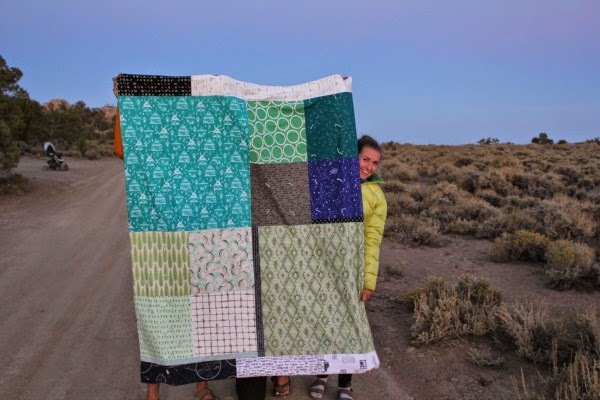 When my husband and I first started dating, he kept asking for a quilt. I would tell him its takes a lot of time, and that there were a lot of people in line in front of him, hehe. 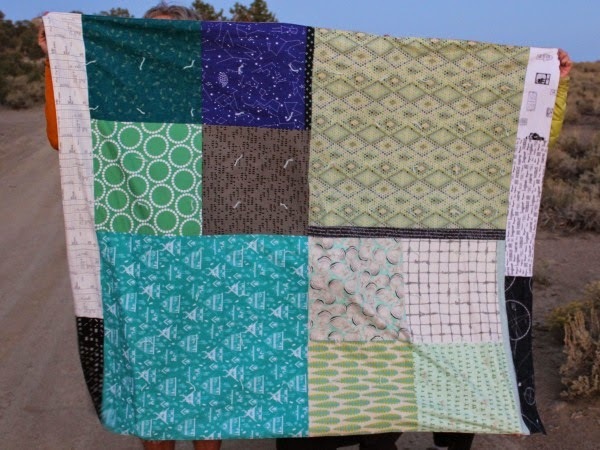 So he started begging for a "four square quilt," a quilt that would be comprised of only 4 squares of fabric and thus (in his mind) quick to make. The following year I did make him a quilt, granted it wasn't a four-square quilt and it's been on his, and then our, bed ever since (I'll have to do another post on it sometime… throw back to 2008!). So fast forward to this summer we were celebrating our 4th anniversary so I thought what better than to make his four square quilt?! It'll be so "quick" right?! Hahaha… As you can see above I had a hard time narrowing fabric down to only 4 fabrics (story of my life)… so I decided to make 2 four-patches in a four-patch. 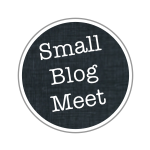 Then I had some slight cutting errors, hence the little strips of black, but I like the interest it adds. And then there's the fact that my husband is tall and I knew he would complain that the quilt isn't long enough, so I added the top and bottom borders. I used minky for the back in gray and teal and lets just say I didn't particularly enjoy sewing with it. I tied off the quilt in a 6" grid using yarn. 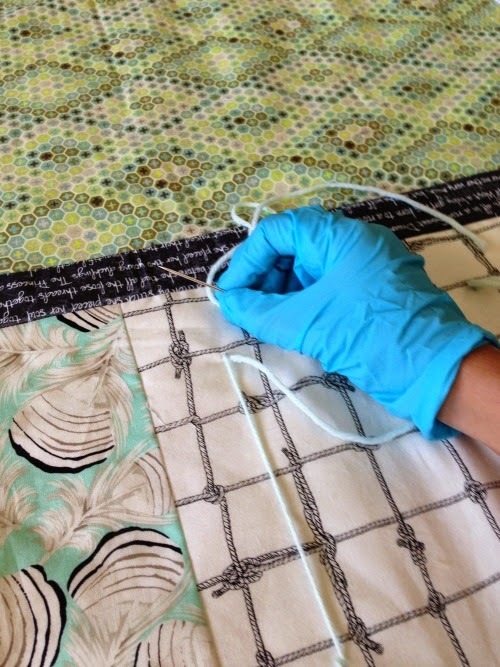 One tip for tying off a quilt is to wear a vinyl glove or rubber cleaning glove on the hand that you use to pull the needle through the fabric. It grips the needle really well and makes the job easy as opposed to nearly impossible. 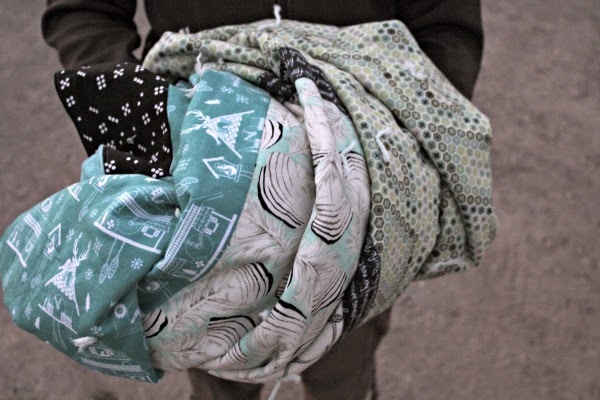 A lot of the fabrics relate to either him or our relationship… cuckoo clocks, ledger print, dominos, sea turtles, sailor knots, hockey players, French text, math/science, and constellations (for camping!). We happened to be camping the night of our anniversary with both sides of our families so we had a fun little celebration and he got his quilt. 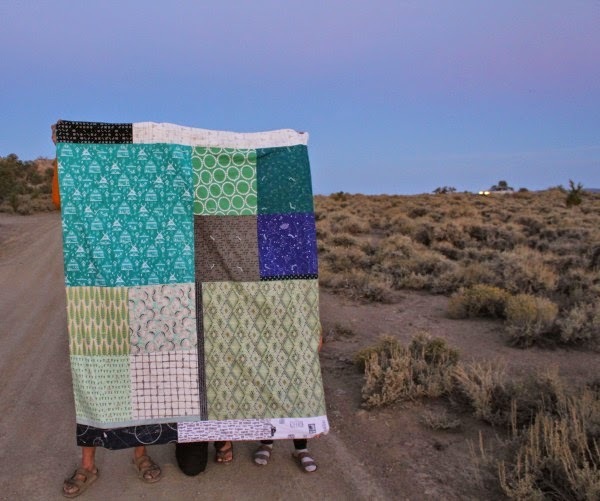 My parents and sister helped hold the quilt for photos but it was already pretty dark so I only got a few good ones. They couldn't believe I didn't want them in the photo and to hide behind the quilt, so they'd keep peeking out. Isn't my sister cute!? I like this photo below too but it's not an accurate depiction of the true colors.